We present to you ‘Philadelphia – The Unrivaled Beer Scene’, an editorial from our Philadelphia intern Michael. If you would like to intern for The Full Pint, please follow this link. Cheers. “Philadelphia has an unparalleled beer scene between breweries, restaurants, gastropubs, brewpubs and cafés. We wanted to push the idea that Philly is a beer drinkers destination,” said Don Russell, co-founder of Philly Beer Week, in a radio interview with Marty Moss-Coane on RadioTimes. 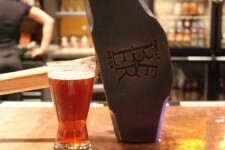 Philly Beer Week exemplifies the exceptional Philadelphia beer scene. Most major cities have a beer culture that primarily focuses on their local craft beer market. However, the Philly beer scene is unrivaled in comparison to other major cities, for which Philly Beer Week is partially responsible. The ten-day-long celebration of beer was created in 2008 by three local beer guys — Don “Joe Sixpack” Russell, beer writer for the Philadelphia Daily News, Tom Peters, owner of Monk’s Café which is a popular stop of the Pub-Crawl and William Reed, owner of local neighborhood tavern Standard Tap— who noticed that there is something unique in the Philly beer scene and wanted a way to celebrate it. Philly Beer Week was the first city in the United States to have a week solely devoted to the local craft beer scene. Since its inception, the idea of a citywide celebration of local beer has exploded to over 100 different cities across the world in the last five years. However, Don Russell emphatically states that there is no other beer week like Philly Beer Week. In just its second year, more than 35,000 people participated in events throughout the week, making it the largest beer-related festival at the time. The number of events for Beer Week is increasing each year, backed by the increasing number of people deeply interested in beer, as well as the number of local businesses that want to be a part of bringing the city together. Events range from festivals, dinners, tours, beer tasting events and meet-the-brewer nights of local breweries. Perhaps the most iconic parts of this week are the pub-crawls. GQ magazine recently published an article praising that Philadelphia is home to the “perfect pub-crawl;” Esquire Magazine listed Philadelphia as the #4 beer-drinking city in the country. While Philadelphia may not have the highest number of breweries per capita, the varieties that these breweries offer is what sets them apart. Most regions or cities, generally, focus on one style of beer. 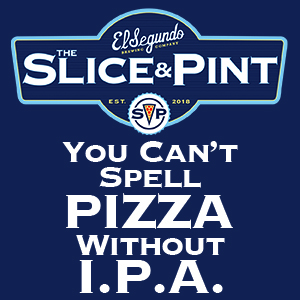 For example, the west coasts tend to focus on IPA’s (hence the style West Coast IPA). But in Philly, all of the larger-producing microbreweries offer a wide arrange of the most popular styles: IPA’s, pale ales, stouts, porters, lagers, and so on. 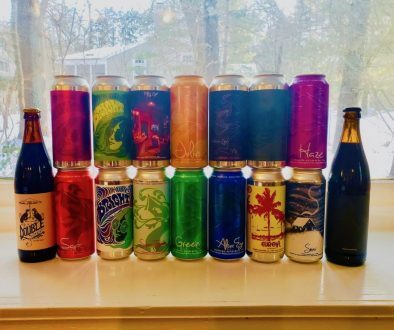 Breweries aren’t afraid to create these styles because they can be confident in the broader, ever-growing interests in each style since the locals have developed a palate for all styles. And they can’t go wrong when they know the people will keep comin’ back for more. Noted beer historian Rich Wagner has recognized that the beer drinkers in this city are almost of a different breed. 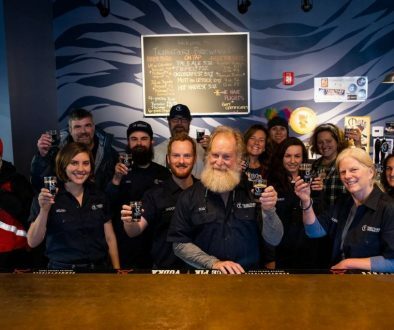 “They have a huge sense of pride of their local breweries and beer scene and seem to be some of the most educated beer drinkers in any city across the country,” said Wagner in an interview with Marty Moss-Coane. Similarly, a representative from a major California brewery traveled to the east coast specifically to attend Philly Beer Week 2012, and was pleasantly surprised by the kinds of questions he was being asked by the locals throughout his visit. Such interactions — whether it’s with a beer connoisseur or a casual beer drinker — it quickly becomes very apparent that craft beer is not to be taken lightly in Philly. Beer drinkers in Philly know their beers as well as they know their sports. As they have allegiances to the local sports teams, they also have an allegiance to a few local breweries or any local craft beer. Philadelphians have their own local favorites that often become their regular purchases when they just had “one of those days”- the favorites being Victory’s HopDevil or Headwaters Pale Ale, Yards IPA or Brawler, Sly Fox Route 113 IPA, or the classic Yuengling Lager. The local breweries know that every Philadelphia beer drinker loves to support local craft beer. The relationship between brewery and drinker is more like a friendship than a business transaction. Local brews are always a topic of conversation between two beer drinkers. The beer scene in Philly can be best described with two words: knowledge and pride. The culmination and the greatest display of what the city has to offer to the beer industry is perhaps the best beer week in the country.